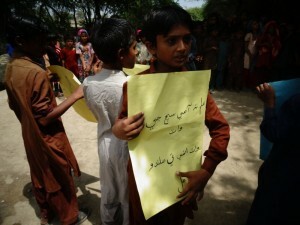 Home Newsroom News Celebrating International Literacy Day in Thatta, Sindh. 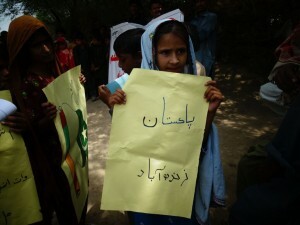 Celebrating International Literacy Day in Thatta, Sindh. 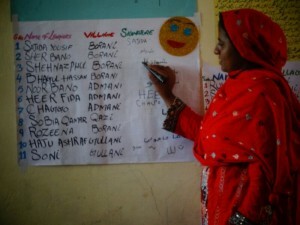 Shenaz Phull, a newly literate student of the ALC, signs her name. The community and school students stand together to say that “Knowledge is light”. 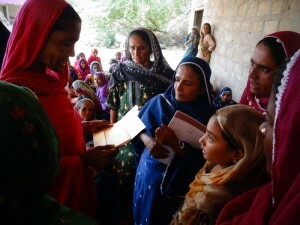 Razia, an ALC student, reads a letter to the class. 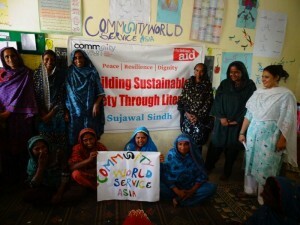 ALC students work on a poster which reads “Community World Service Asia”. ALC students celebrate International Literacy Day. 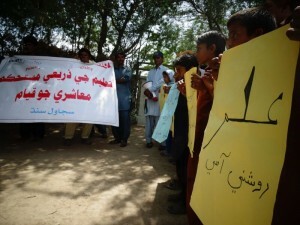 Community World Service Asia celebrated International Literacy Day with the community in Thatta. 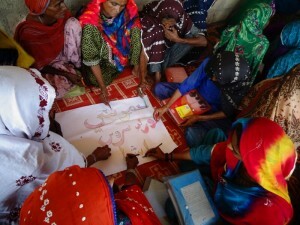 Supported by Christian Aid, we have opened two adult literacy centers in which 100 women are enrolled, and are learning to read on write using phonetic methodologies. Raj bai, an adult literacy student, shared that she will become an “educational partner” of her children following the completion of the course, while Fayyaz, a fourth grade student, shared, “I will struggle for the enrolment of other children in my school as well, and I will make it true that my village becomes 100% literate.” We hope to continue working with the community in Thatta to make Fayyaz’s dream a reality! 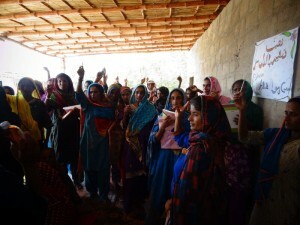 Photographs were taken by our Thatta team as an assignment of the in-house photography training follow up. Providing Q&A technical support in Nepal!